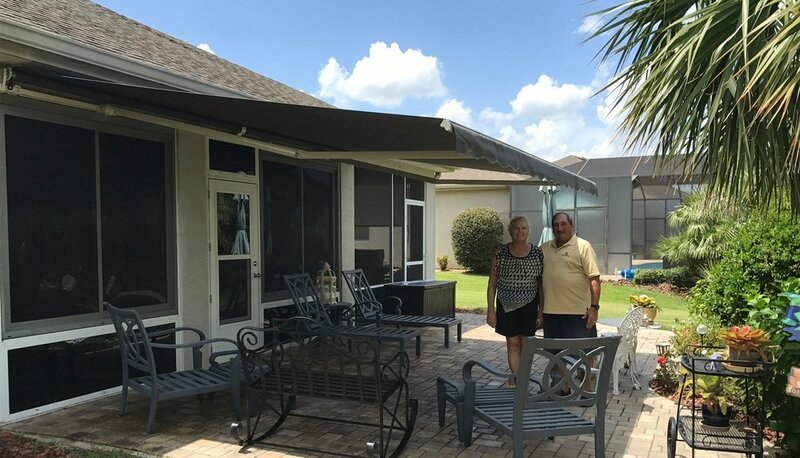 AUTHORITY HOME SOLUTIONS IS YOUR LOCAL AUTHORIZED SUNSETTER® AWNINGS DEALER IN CENTRAL FLORIDA, THE VILLAGES® COMMUNITY, OCALA, GAINESVILLE AND SURROUNDING AREAS. Rated America’s #1 Best-Selling awnings in Ocala, The Villages® Community, and Gainesville areas. Delight your family and guests With comfort, shade, and protection with a SunSetter® Retractable Awnings from Authority Home Solutions. SunSetter® Easy Shades is an easy-to-use vertical solar shades that is an ideal solution when you want to have privacy or shade within your home. They are made of durable protective fabric that blocks 90% of sun rays. 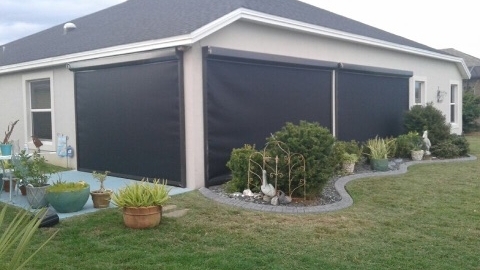 Our motorized hurricane screens are made with aramid and polyester fibers, the same types of material used in ballistic body armor. Comparable to an aluminum roll shutter for strength but unlike aluminum shutters, they do not block the light and you can see through them. The DogWatch® Hidden Fence System is the proven way to give your dog safety and the freedom he deserves. Keep him out of harm’s way – from chasing golf carts, bicycles or cars, not mention just roaming the neighborhood. We proudly serve the following cities The Villages ®, Lady Lake, Leesburg, Ocala, Gainesville, Spring Hill, Clermont, Orlando, Summerfield, Weirsdale, Brooksville, Wildwood, Oxford, Crystal River, Hernando, Inverness, Beverly Hills, Dunnellon, Citra, Williston, Hawthorne, Homosassa, Belleview and Ockalawah. SunSetter ® Awnings are registered trademarks of SunSetter products Malden MA. DogWatch® should not be confused with Invisible Fence ® or Invisible Fencing ® which are products and registered trademarks of Invisible Fence ®. THE VILLAGES ® is a registered trademark of Holding Company of The Villages, Inc. Authority Home Solutions is not affiliated with, or sponsored by, Holding Company of The Villages, Inc. or its affiliated entities.